I have nothing to wear, I thought as I looked at my overflowing, chaotic closet. 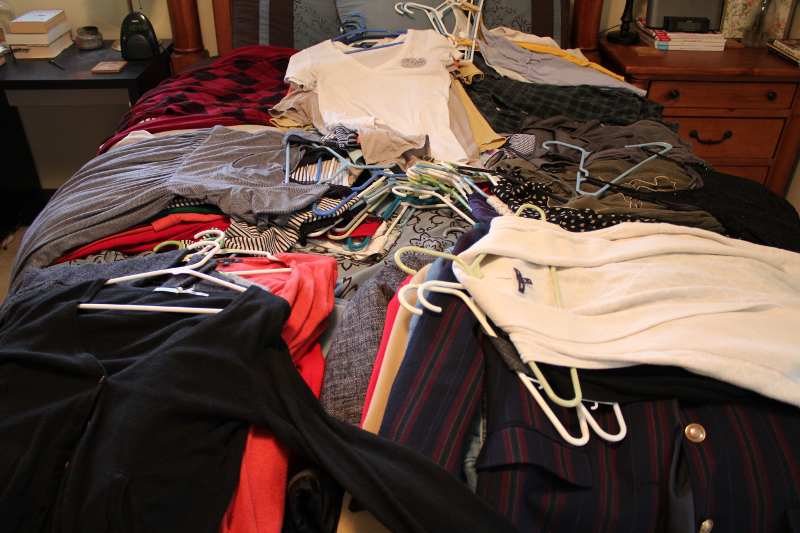 I had too much clothing that I never wore, and it was hard for me to sift through everything. Sounds familiar? I decided to try having a capsule wardrobe so that I could save time in the morning, save money on clothes, and clean up my closet. It has worked out exactly as planned, although it took a little time and follow-through. Here are a few simple steps to help you dress your best with just a few quality pieces. Think about what activities you dress for daily. Put a list together as to what items you cannot live without. This may include jeans, t-shirt, dress clothes, tennis shoes, boots, and so on. If you are unsure of what your style is, a vision board can really help. This can take you a few days to figure out, so take your time. It helps to have a clear space to create your new capsule wardrobe. The trick is to let go of all the items that no longer fit, things you no longer wear, and clothing that are too old to keep. Are there unworn items with tags still on? Ask yourself if you really plan on wearing that item. Otherwise, it’s a sunk cost so you might as well get rid of it. Take a deep breath and just let them all go. Give everything that you no longer wear to charity or try reselling them. Plastic bins are great for storing and organizing items. Get the clear bins so that you can see what is inside. Only keep items that are of great quality, mix and match well, and that look incredible on you. Work, casual wear, or special occasions can become a fashion nightmare when you don’t have a personal style. Wear what looks good on you. Look online for outfit and style ideas, if you need them. Your ideal capsule closet should include clothing that you feel your best in. Do not make the mistake of buying clothes that you feel uncomfortable in, just because they are stylish. To make things even simpler, why not come up with a uniform? There’s a reason why successful CEOs wear the same thing every day. You will need an entire outfit for each day of the week and special occasions. Find those quality items you already have and lay them out. Try to stay clear of having any multiples of any one item, and use as many neutrals as possible. Your clothing layout will depend on your lifestyle. Finding items that can be mixed and matched with other items will give you more outfit options. Neutral colors, such as black, white, or tan are easy to mix and match. If you like color in your wardrobe, you can incorporate them in your accessories. Just match them up with a neutral color. For example, a printed blouse with a neutral skirt will look great. You’ll need the appropriate pair of shoes for each planned outfit. Think about shoes that can do double-duty for certain activities, and definitely pick designs that go well with multiple outfits. One pair of shoes per activity can work too. You may find that you still need a pair of shoes, a black shirt, or another neutral color item to complete an outfit. Go ahead and buy what you need, but make sure it mixes and matches well with other items in your closet and that it is made well. 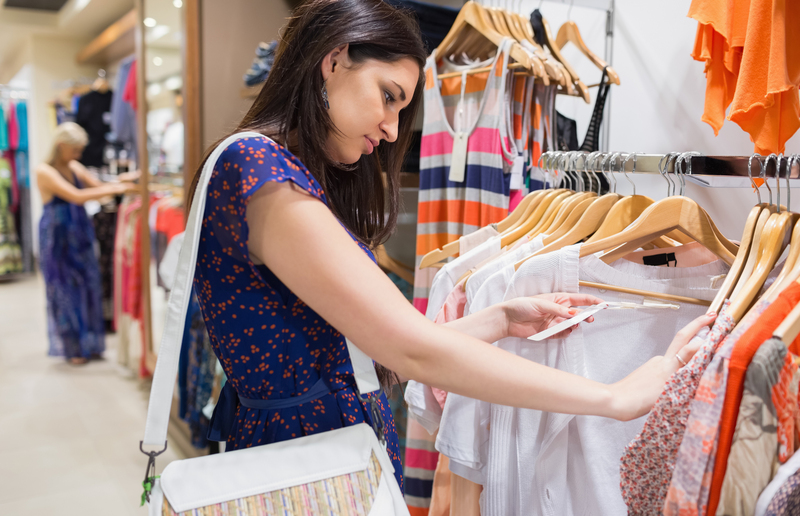 You don’t want to find yourself consistently shopping for new clothes, as this can become a habit. 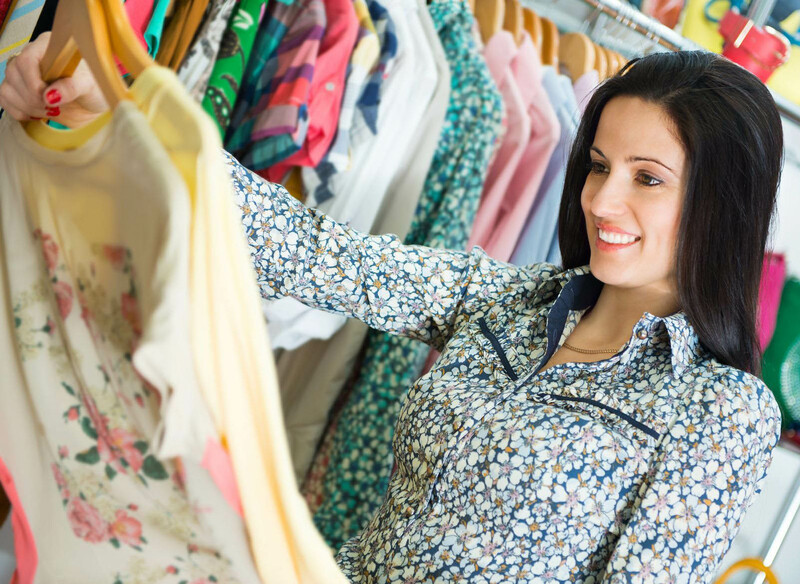 For more savings, buy pre-loved clothing from thrift shops, garage sales, and consignment stores. Yes, you can survive on just 40 items of clothing for work and casual wear, without constantly repeating outfits. The overall idea of your capsule closet is to keep it simple, by having key items you can mix and match easily. It’s also a good idea to stick to just a few accessories. Take note that most minimalists do not include the following items in their 40-item limit: sleepwear, workout clothes, and a couple of special occasion items. 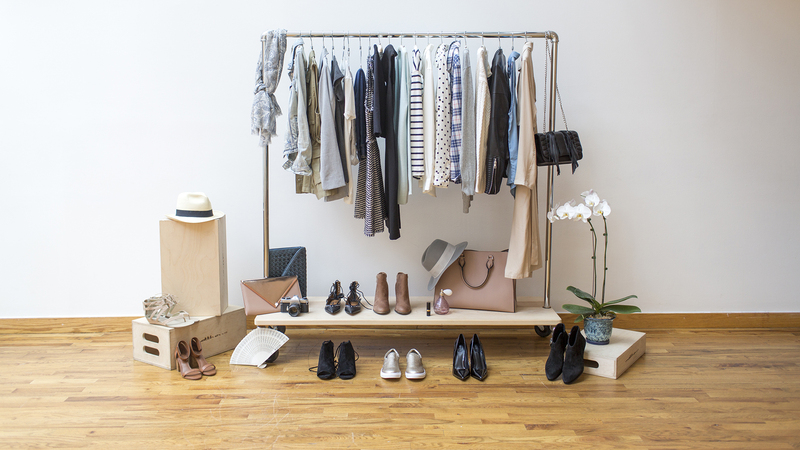 The last thing you want to do is ignore the rules of your new capsule wardrobe. The whole point is to remain organized, save money, and time in the morning. There is no reason to feel guilty over a new pair of shoes, or a new blouse, but don’t forget what your goals are and why you simplified your closet to begin with. 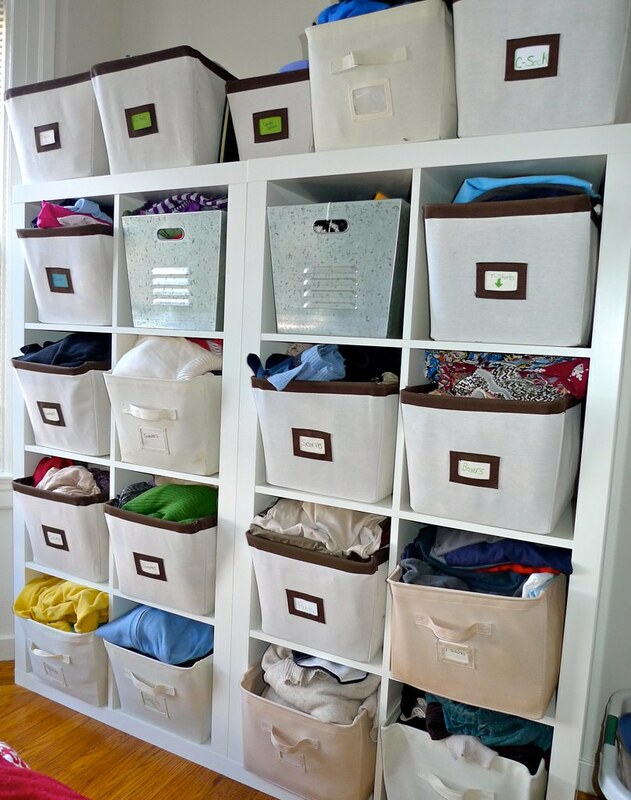 I hope you have found my tips to be helpful when creating your own capsule closet. Feel free to share my tips with your friends. If you have any tips I haven’t thought of and you would like to share them, I would love to hear about what you have done with your capsule wardrobe.